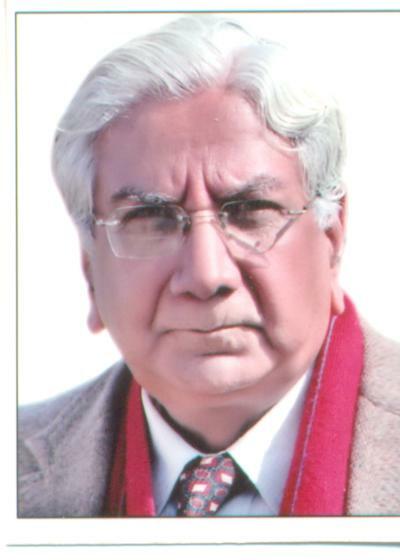 Shri Sharad Dutt has been associated with Electronic Media for more than Four decades. He Chaired the Jury of National Film Awards, 2013 for Best Writing in Indian Cinema and Assocham National Council on M&E for 8th Annual Summit on Media & Entertainment, 2014. Shri Dutt worked as Officer on Special Duty to Directorate General: Doordarshan (2006-2007), Doordarshan Bhawan, New Delhi. As a Director of the Kendra, that too of the Delhi Doordarshan, he managed the major & intricate assignments which included VVIP recordings (like President, Prime Minister, Foreign leaders) & recordings of Independence Day & Republic Day, Mega OB’s (live as well as Recordings) with renowned dignitaries, Evening Live shows & other day to day coverage’s. Besides this he was actively involved in important recording, which he conceived, executed & directed. As a Director he is well known to give platform to best talent, to record intellectuals & thinkers & as a genuine Film Maker tried to contribute something worth. His prestigious recordings included live telecast of Independence Day & Republic Day from the last 33 years; major live telecast of then Russian President Mr. Gorbachev, Mr. Nelson Mandela’s Former President Bill Clinton & Former President Gen. Pervez Musharraf’s visit to India; centenary celebration of Pandit Jawahar lal Nehru. Hehas produced more than 100 Documentries on many eminent personalities from almost all the personalities like Dr. Mulk Raj Anand, K.L Saigal, Dr. Harivansh Rai Bachhan, Pankaj Mallick, Nirad C Chaudhri, Dilip Kumar, J Krisnamurthy, Amitabh Bachaan, Amrita Pritam, Dev Anand, Faiz Ahmed Faiz, Aktar ul Iman, Dom Moreas, Nobel Laureate Seamus Heamy, Shiv K Kuma. Special Documentary (India Civil Services) on civil service day 2006 which was screened at Vigyan Bhawan in the presence of Prime Minister Dr. Man Mohan Singh. Directed “ The Movable Feast”-“France through the eyes of an Indian” (Co-Production with French Television). Interview based Programme with Lady Margaret Thatcher on her visit to India. Produced more than 20 programmes on Mahatma Gandhi, Pandit Jawahar Lal Nehru & Mrs.Indira Gandhi. Series of 26 episodes “World of Nature” with Khushwant Singh. Produced Doordarshan’s first colour film “Thunderbolts” (first Aerobatic team of Indian Air Force) and hundreds of other programmes and series. Shri Dutt written Biography of Music Maestro Anil Biswas “Ritu Aaye Ritu Jaye”, Biography of K.L Saigal “Kundan”, Co edited five volumes of the selected works of Saadat Hassan Manto’s “Dastavez” with sh.Balraj Manra, Co edited life & works of Nasir Kazmi’s “Dhyan Yatra” with sh. Balraj Manra, “Dastaan-e-Alamara” on the making of India’s first talkie on its 75th Anniversary. He is recipient of several national awards including National Award for best book on Indian Cinema titled “Ritu Aaye Ritu Jaaye”, National Award for Best Book of Indian Cinema Listed Kundan, the Life & Music of Legendary Singer/ Actor K.L Saigal and Hindi Akademi Award for outstanding contribution in the field of Media (Govt. of Delhi).